Posted 03/11/2014 by frontrank & filed under Uncategorized. Our new 28mm Hanoverian Napoleonic Reinforcement Packs available in Reinforcement Sets. Reinforcement Set prices are cheaper than buying Reinforcement Packs separately. For full details please go to Napoleonic Hanoverian, Reinforcement packs section. The packs have been superbly painted by Richard Abbott. NEW MONEY SAVING REINFORCEMENT SETS ~ AVAILABLE NOW! Posted 08/10/2014 by frontrank & filed under Uncategorized. Our very popular Reinforcement Packs are now even better value when purchased as part of our NEW REINFORCEMENT SETS! REINFORCEMENT SETS contain 36 figures and include Centre Company, Elite Company and Command. See Napoleonic British Reinforcement Sets section. See Napoleonic French Reinforcement Sets section. Plus Front Rank discounts can also apply! See our How to order section for more details about our discounts. Reinforcement packs are ideal for adding variety to your units. EACH PACK CONTAINS a MIX of 6 NEW FIGURES which can be used by themselves or mixed in with our existing range of individual figures to add a more realistic and varied look. 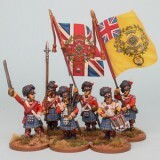 For full details please go to Napoleonic British, Reinforcement packs section. Posted 03/07/2014 by frontrank & filed under Uncategorized. Packs FNRPK18, FNRPK19, FNRPK20 & FNRPK21. For full details please go to Napoleonic French, Reinforcement packs section. Figures sold unpainted and in packs of 6 only.